Rafting could be a fun activity with a bunch of friends as it gives adrenaline rush like no other sports. Rishiskesh is one of the greatest hubs for various watersports activities, but serves as a base camp for river rafting tours. You can easily do your research on internet and see there a lot of adventure sports options. What better than rowing through the water rapids of Ganges. There are more than 13 water rapids in Rishikesh. The booking can be done on web and it comes with inclusions like campfire, tent at the base camp. Instruction manual, life guard and professional guide for the rafting journey along with the apparatus required. Beach trekking is something that will help you to encompass the fulfillment of trekking with addition to surreal landscapes and top view of mesmerizing beaches. Gokarna trek is one trek that needs no tourist guide as localities are amiable enough to help you with the routes. The signs of rocks and steep path will guide you to the sight of three idyllic beaches of Gokarna. The green hillsides with the Western Ghats on the other side makes up for a magnificent view. The three beaches named Gokarna beach, Kudle and OM beach offers many tourist spots and an abundance of flora and fauna to sink amidst the warmth of mother nature. It’s time that we think of Goa has to offer apart from good liquor, parties and beaches. There is a lot to Goa that has to be explored in terms of tourist places, good eateries and calm places with lot of fun activities to explore. Cruising in Goa is something mistaken as an hourly activity to have quality experiences the less visited Goa. So, this time when you plan a visit to Goa ensure to visit the good old museums, Divar islands, Salim Ali bird sanctuary and dig into the good seafood at underrated yet small eateries in Goa. Mangalore has possibly one of the best beaches in India. Surrounded by serene greenery all around Panambur beach serves as of the hottest destinations for watersports like Jetsking and paragliding. When planning a trip with all your girlies adventure and thrilling activities should top the list. We say don’t go by the hype, but go the list of experiences you will have. Mangalore has been a constant favorite spot for water sports enthusiast all across the country. It’s time now you should go make memories. Yes, you read that correct! Probably Andaman isn’t the only place providing underwater experiences. Lakswadeep is a dream come true for surfers, scuba divers and everyone who loves under water experiences. The liberating scenes from the Bollywood movie “Zindagi na Milegi Dobara” will be possible for you, without having to travel Spain. You can get your won trainers. Choose your own package and dive into the joy expecting unseen aquatic life and embrace the countless memories with your group of friends. Agatti, Bangaram and Kadamat are the three preferred places for scuba diving with perfect settings and resorts close by. You can choose the package as per your level of expertise, interest and budget. Kamshet is a lively hill station in Pune, Maharashtra that is quite known for paragliding and other related adventure sports. Situated among the beautiful mountain range of Western Ghats it makes the delightful journey to go watch the pollution free small and beautiful image. Go witness the calm, peaceful and divinity of countryside experiences. The place has a lot of Instagram worthy sights where you can click loads of pictures to revive the memories later. This is a perfect place to set up a campfire during winters or enjoy the slow breeze during not so pleasant climate. Go live the moments with your besties. So, these are a few places you can look forward to when planning for your all-girls trip this year. 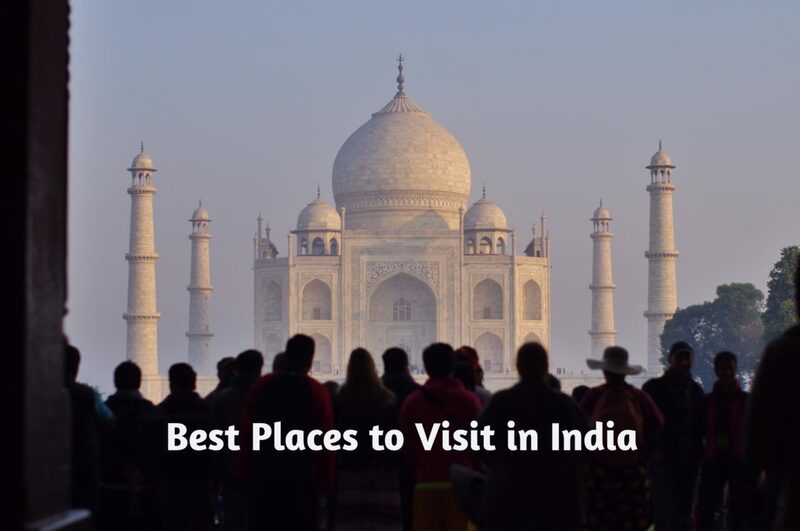 All these places make a great and safe choice for travelers as it is always crowded with tourists all around the year. A great travel journal should be full of good pictures and memories, and we hope you get the best with for you. Goa is popularly known as the party capital of India. But during monsoons, the city entirely transforms into a different tropical paradise altogether enticing tourists from all over the world. There’s indeed, something special about mid-July, a peak monsoon time that makes Goa distinctive from all other destinations claiming Goa a must-to-visit place in the bucket list during monsoons. For holiday makers, as the month of June elapses and the off season hits off, the incessant downpours sends a welcoming invitation to those who love rains. So if you are a rain lover, get ready to witness the lush green country side with swaying palms romancing with the tunes of the sea breeze. Why visit Goa during monsoons? A perfect time to avoid the buzzes in monsoon, you can feel the lashing rains as you stroll by the sea shore in solitude, the breath-taking views – there are certain wondrous delights that monsoons in Goa that you can’t wait giving it a try. But, to experience this drenched paradise and try out an array of Goa monsoon Activities you need to stay back for a couple of days and look for the best places to visit in Goa during monsoon. Where to stay in Goa during monsoons? Pick an accommodation that’s near to North Goa (recommended as it will be available) such as Baga or Calangute, where you will find a hub of good hotels at pretty reasonable rates. 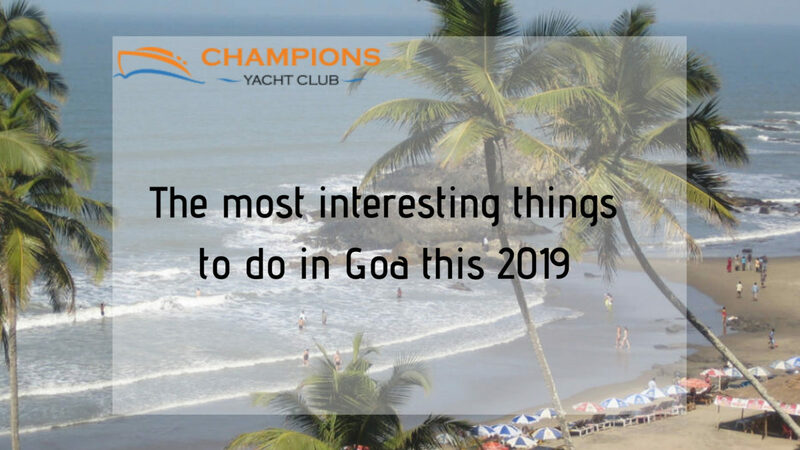 However, it would be judicious if you include Monsoon Goa packages that offer exhilarating experiences of Goa water sports during monsoon, monsoon activities in Goa, overnight stay on yacht and cruising to indulge in. After all, travel to Goa is always incomplete without adventures and water fun! So release yourself and calm your senses with these 10 special experiences that are captivating to explore during the monsoons. Monsoon is the best time to witness this iconic waterfall, popularly named as the Dudhsagar Falls or the ‘sea of milk’ surrounded by mist filled absolute dense greenery. Enjoy this occasional shower of falls plunging 1017 feet with milky water flow that comes to life in its full glory during monsoons. Located far from the beaches, this natural phenomenon is a four-tiered level led by four trekking routes encountered by a canopy of mini waterfalls in between to reach. Plan for a monsoon trek to Dudhsagar falls and witness the milky water tumble down the rocky terrain and the streams that creates a marvellous vista to treat the eyes. Goa is rich in wildlife and trek adventures. If you are a wildlife lover, head on towards Goa’s wildlife sanctuaries such as Sariska Tiger Reserve, Mollem National Park, Mahavir Wildlife Sanctuary, Catigao Wildlife Sanctuary and mini Zoo that are of much interest for all. Hike through jungle’s dense natural trail & explore the beautiful mini waterfalls that you meet unexpectedly simply making the entire jungle camping all the most exciting. The greenery around is a blissful experience that you can’t just miss! No wonder that partying is within the blood & veins of Goa lovers. But do you need a reason to celebrate? Well, monsoon season comes alive with many traditional festivities to rejoice in such as Sao Joao, Touxeachem feast, gala Sangodd fest, & Bonderam fest that offer great merriment galore. Take part in these festivities and relish the scrumptious items that are of absolute delight and surprise. Thank us later! The onset of monsoon and intermittent rain showers might leave a smirk on your face. No crowd on beach, no shacks with greenery all around. Isn’t it enticing? especially the unexploited gorgeous beaches that are uncrowded. Connect your soul to the nature as you take a walk along the empty beaches gazing at the sea and feeling the gentle sea breeze. Ideal for honeymoons and romance, this is the perfect time for couples to chill out on secluded beaches and count upon moments of love together in a blissful state of mind. Take a sunset tour on monsoon cruise in Goa across the Mandovi River just for a leisurely sail. Nothing beats the panoramic sight and the gentle cool breeze that gives a peaceful feeling as you cruise away. The festive atmosphere is glorified with Live DJ music, dance in the rain accompanied by a delectable dinner with your beloved. The bar and snack counters at the middle deck serves snacks and beverages to keep you entertained for long. Enjoy the electrifying ambiance! Goa transforms into its most beautiful form especially during the monsoons with the enchanting backwaters. If you are wondering about where to stay in Goa during monsoon, the backwater monsoon cruise is worth a try! Cruise day and night along the picturesque backwaters of Mandovi River as you head towards the Divar Island. Stay Overnight on cruise with your loved one and enjoy some intimate moments in full luxury and style. Explore the nightlife in Goa cruises with chilled out vibrant party on cruise equipped with foot tapping night music, party and rocking dance. The fascinating cruise culture is sure to elate you! It’s unfair if you are in Goa and not trying out some exciting water sports on the high swells of the sea across the lengthy coastline of Goa. Try out some amazing water sports in Goa during monsoon – wake boarding, paragliding, fly boarding, kayaking, windsurfing, scuba diving, white water rafting, catamaran sailing, speed boat ride and many more that are a great fun to explore. Likewise, there’s an array of Goa water sports during monsoon that offers loads of fun experiences during the monsoon season. Goa is known as party capital of India but during monsoons, unlike summers, only 50% of the bars or clubs will be open. But, not to get disappointed because if you are a die-hard party lover, the best place to party in monsoon is party cruises equipped with music, dance, drinks and some mouth-watering cuisines. Rent a cruise for an exclusive fun party with friends or family to experience the laidback style of partying. Whether you are a retro lover or a hip-hop fan, there’s something unique in partying while cruising in monsoon Season in Goa that’s definitely memorable! It’s fun to shop on the deserted streets with not much crowd around. Isn’t it? If you are a shopping fan, head on to the streets around Baga and Calangute beach where you will always find the shops open for everyone. Unlike the seasonal businesses that are specifically opened for foreigners, certain shops remain open during the monsoon at a much budgeted price! Happy shopping. Goa is a photographer’s vantage for some epic photoshoots during monsoons. Did you know how? Well, no crowded beach, deserted streets – what else do you need to enjoy the laidback beauty of Goa and click some awesome selfies without any disturbances? It’s a complete bliss! The magical monsoon effect equipped with fun, merriment and wonder in Goa are something that will certainly overtake your senses. To experience the absolute monsoon charm, head on for a trip to this amazing magical place to discover Goa during monsoons – a natural paradise beyond the ordinary! Love is in the air. Love is all around. 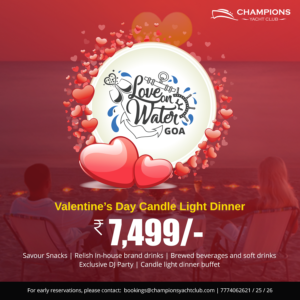 What if Love is found on the sparkling waters of Goa? Goa is a place for not just fun and frolic but also touted as a popular romantic destination. The sun-kissed beaches, the breezy evenings, the line of swaying coconut trees – all these translates to create an ethereal experience for you and your loved one. With Valentine ’s Day not so far away, why not indulge in a romantic getaway far away from the usual crowd to a secluded place? Resort accommodations are always a choice, but this time give wings to your imagination and gift your partner an amorous date on a luxury yacht. To spend Valentine’s Day in Goa is always a passionate one. Amidst a serene island surrounded with greenery, a luxury yacht, and a private boat on the river banks when you plan a candle light dinner with exotic dishes followed by dreamy music to sway on the dance floor of the yacht, you are just turning yourself into the most romantic partner that one can only imagine of. Now what if all of these come together at a single place to make your dream come true? Loaded with many more features? All in Goa? Whether you are a newly-engaged couple or the one who’s celebrating a lasting love, this Valentine’s Day break the shackles of monotony. 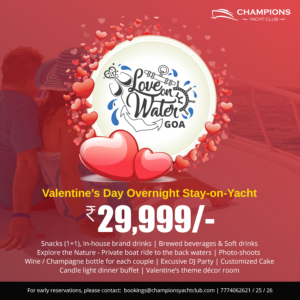 Play the quintessential lover for your sweetheart and plan an aquatic getaway on the romantic waters of Goa. Ignite your romantic desires with romantic cruise experiences on water like never before. 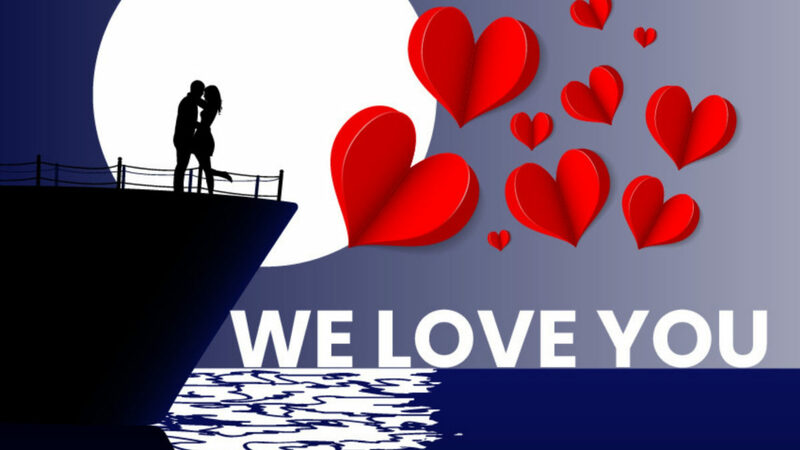 Bring your partner to long-stemmed roses, a romantic feast, a gala party & musical entertainment – all that your love can think of and let our crew providers make your evening an unforgettable experience with Valentine’s Cruise packages – All of them Cupid approved! Everyone at one point time of their life has definitely marveled nature’s way of beautifying the skies with beautiful red and orange hues of a sunset. Although such views can be seen from anywhere, certain parts of the world are especially famous for their twilight hues. The hills and seas are some places that can give you the experience. A twilight on the sea is most definitely a romantic view that enhances the ambiance of a special day such as the V-Day. It gives you ample photo op moments that you can relish in future. A Sundowner Party on the cruise at Goa is pleasure treat for couples. With romantic music filling your ears and having the right drinks just build up the mood to enjoy a romantic setup with your Valentine. There are many reasons for the Candle Light Dinner to be considered as the most favored date plan. Adding more flavor to it is the Private Island, all to yourself, and a Luxury Cruise between the rippling waters and the swaying trees. Dinner would be served to you and your partner in the most royal way. The regality of the entire affair teamed with ample drinks, exotic gourmet food and lively music would create an experience which will take a long time for you to forget. Complete your day of awesomeness with opulence and themed room for your stay. Enjoy the private boat rides in the backwaters. Get amazing pictures clicked by our professional photographers that would be the perfect souvenir of this memorable day out. Take your love to an all-time high with amazingly themed rooms provided with mood lights, morning wake-ups with the sea beneath, early morning cuddle in the lap of nature and balmy breeze to relax you. The day is yours and the moments are yours to steal. There are no restrictions on the inclusions. So take up the no-holds-barred attitude this Valentine’s Day and show to the world the prowess of your love. There isn’t anything impossible when you want to do it for your loved one! 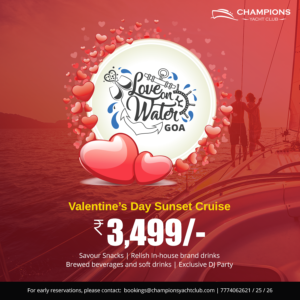 So why not plan a perfect Valentine’s day party on Yacht in Goa to pamper your sweetheart!